Over 2000 design combinations of step form, step material, stringers, railings and lighting await you in a revolutionary new stair production. Our stairs were chosen to be in the 2017 New American Home in Orlando – a home showcasing the latest and greatest innovations in building materials. Our stairs are installed in $10 MM condos in Manhattan, and $30 MM homes in Miami. 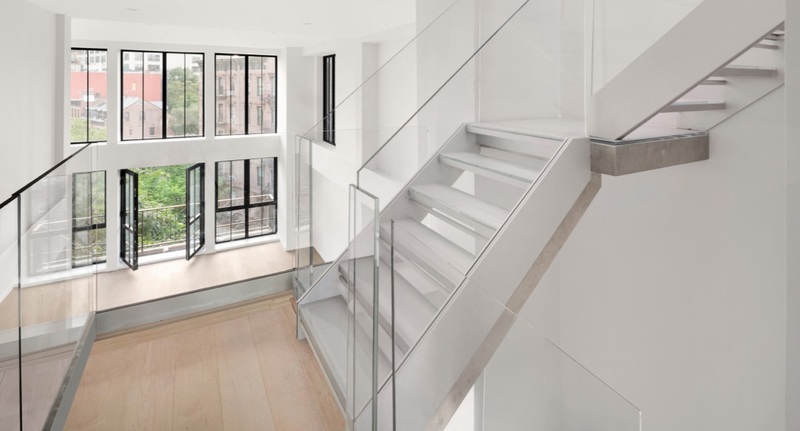 We also make stairs for simple sleeping mezzanines and duplex apartments all over the world. Our prices are about half of what other manufacturers charge. If you have always worked with steel staircases, be prepared to learn something new. Anodised aluminum staircases are not like steel staircases. They are stronger, lighter, and look like designer furniture. Unlike steel, they are refined to the millimetre, and combined with polished glass, natural stone or massive wood. There are no weld marks, no tons of weight, no L-brackets, no bolting to the floor. The stairs are installed at the end of your project along with the other fine finishes like kitchens and bathrooms. If you have never seen them, stop by our Demo Studio on 31st Street in NYC. 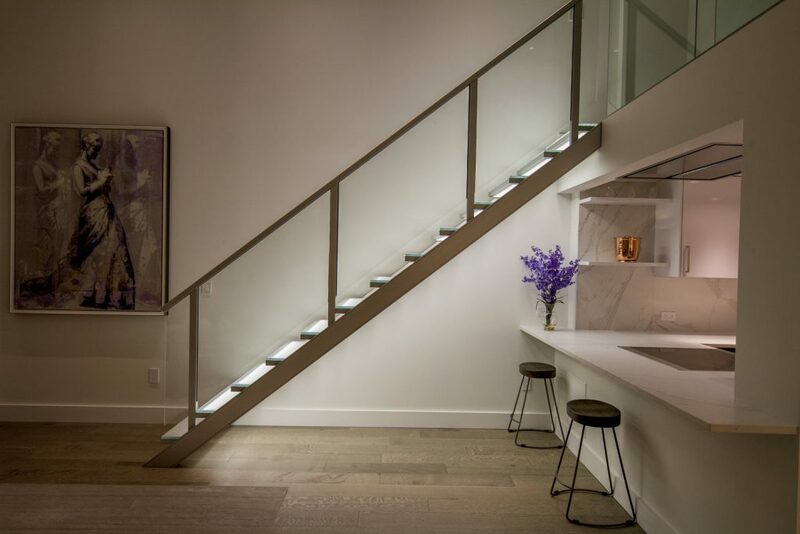 Over the years, our staircases have won awards for innovative design of the steps and unique two-sided illumination. The unique composition of these staircases in aluminum allows us to achieve strengths equal to steel, but with a fraction of the weight, making installation much easier. Aluminum also is a more refined metal than steel and does not give a dated look with time as most steel staircases. Each of our staircases, landings and railings are manufactured exactly to your measurements, pre-assembled in the factory and each drilling and bolt is quality-checked. There are no standard sizes. The installation can be accomplished by any contractor, normally within one day. In New York and Switzerland we can recommend contractors to do your installation. Architects and general contractors love our products. 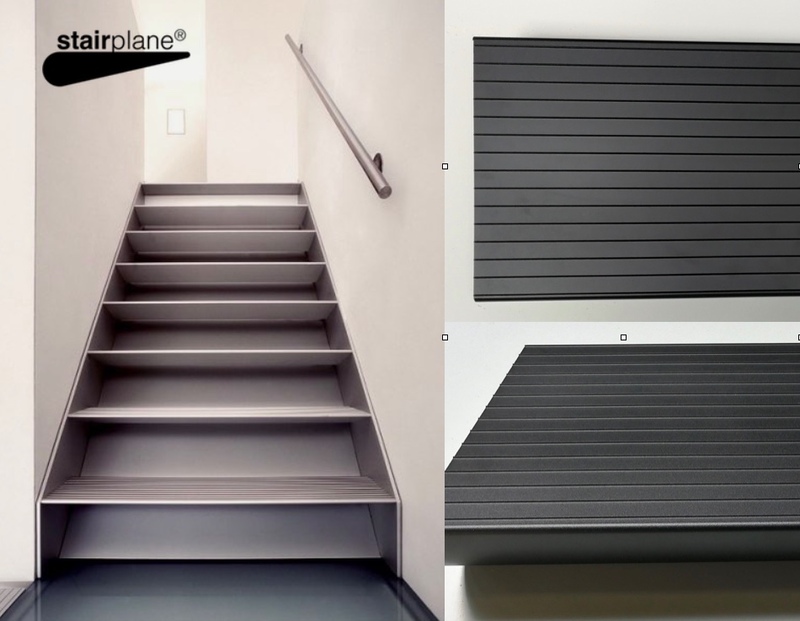 Visit our special STAIRPLANE.COM website for more information.